Apparently we had some pretty bad weather today... Can't have been too bad tho as it didn't wake me... Although once up, I did notice a old fair breeze coupled with bright clear skies one minute, dark thunderous clouds and bucket loads of rain the next.. I did intend to go the Bluewater shopping centre but the QEII bridge over the Thames was closed due to high winds so instead headed to Lakeside and a bit of retail therapy... Bought myself two bags and a remote shutter release all for less that 25 notes.. Stopped off at a field on route where the local gypsies keep their old nags and took a few shots... Glad for a bit of cloud action to accompany this lone pony..
Oooo... photo 801..!! Completely missed the big 800 milestone..! Super cloud action. Great sky! Oh that's gorgeous - the clouds today changed every few minutes.. that's a brilliant catch. Instant fave! Very pretty Andy. Nice pic. Fantastic Andy. This'll be gracing the pp soon enough. Expect a deluge of followers! Yeah I was catching you up! Although I suspect half of mine are now "dead followers"! Nice sky shot on a nasty day, Andy. I looked out of my window this morning and didn't like what I saw here, so went back to bed! great colours in this - can't believe you slept through the barrage of winds last night!! Beautiful shot Andy. a fave for me. We have very bad weather here as well, so bad that it is a bit frighting. Wow, I wish only that I could see the horse a bit better. Other than that it's perfect. Great color and drama in the sky and great composition. 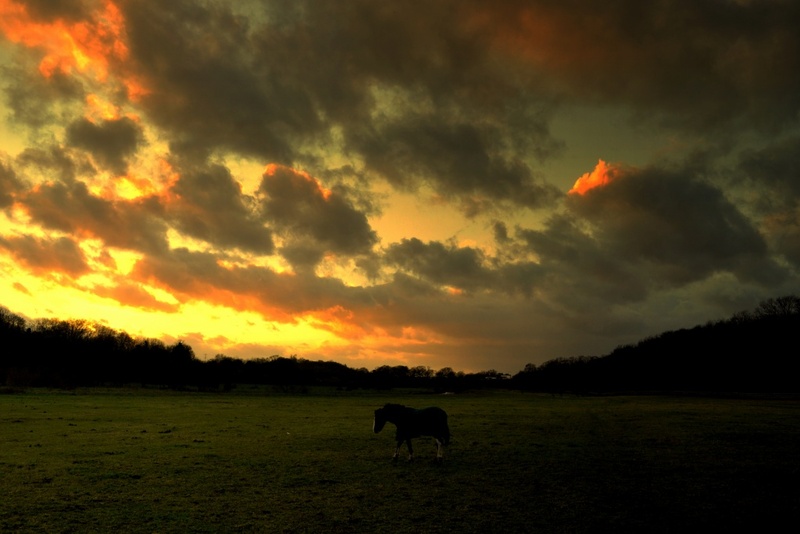 Excellent sky and lone pony action. Great colors....! The green and the yellow really compliment each other. Beautiful composition and a wonderful sky Andy !! Beautiful photo Andy! I love the colors and how subtle the pony is. Found this on the PP.....was surprised when I found it was yours......a very different perspective on life. I always feel sorry for those poor old horses, I imagine he was out in all that weather, no shelter or anything. Such a stunning sky and yet another Andy fave for my collection! aw very nice mate.. love that sky, love the wee horsey. @Cherrill thanks cherrill, yeah, poor old things, there was about 6 in total, some that looked quite rough and not very healthy at all..